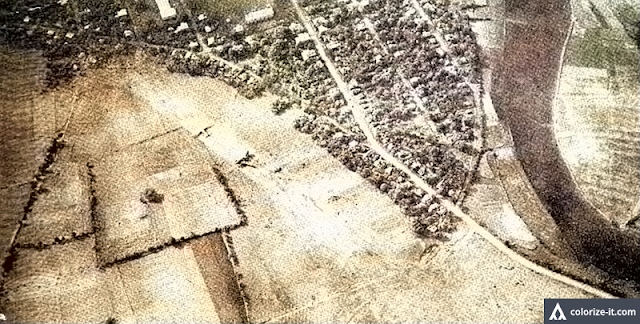 The Nasugbu Airstrip after the town's liberation from Japanese occupation. In truth, however, the airstrip existed even before the outbreak of World War II. The engineering battalion must have improved the airstrip to receive American planes, since after the landing of United States Army troops on the beaches of Nasugbu on 31 January 1945, a command post also had to be established in the town. The picture has been processed using graphics editing software to improve quality and then colorized courtesy of Algorithmia.